The artist photo! What does it tell us about the artist? I recall at a masterclass with Gillian Weir, I was attempting the Fugue of a Hindemith Sonata and expressed the comment that I found it "dry". 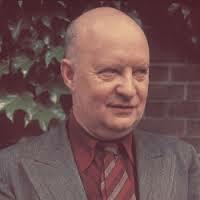 "Look at a photograph of Hindemith", Ms Weir told me, "You will see he is usually smiling". Enigmatic, Mona Lisa-esque the smile may be, but it is there, and that has helped me immeasurably in both interpreting and listening to Hindemith's music. One assumes (and hopes) artists take similar care to send out the message they want when posing for their publicity mug shots. After all, it is sending out a signal which must be clear to all who receive it. 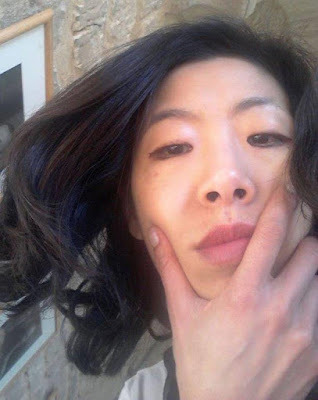 What does the artist want us to think when we see their photo. A stern, old-fashioned, reliable performer? A performer who is innovative and takes an unconventional approach? A musician who has nothing original or distinctive to offer? All these can be deduced from a well posed artist photo. But then I came across this hideous apparition. At first glance it appears to show a severed head being held for the camera by, one assumes, the executioner. Although I have never been in any way tempted to seek out the ISIL execution videos on the net, I assume they look like this one. Closer inspection suggests the head may still be attached to a body, but that an unknown hand is holding it out of a high window, ready to thrust it over the edge unless an assurance is made. Perhaps the unknown assailant is saying "if you play another note, I'll throw you out the window. Promise me you will give up music and take up crochet!" What else can we make of this artist's publicity photo, surely one of the most awful yet produced? One thing is certain; if her playing engenders such a violent reaction in one listener, then her concerts are to be avoided at all costs.